The Kristianstad race, round four of the Swedish Karting League, has rewarded the Brazilian. Pace setter throughout the entire event, Bortoleto has best prepared for the World Cup weekend. Sweden thus provides a first preview of what will be the fight for the World Title, scheduled next month, on the tortuous track of Kristianstad. A scrappy weekend, useful as an all-out wide open competition for all the category's drivers. Gabriel Bortoleto was the talk of the town during the weekend thanks to his capital performance. 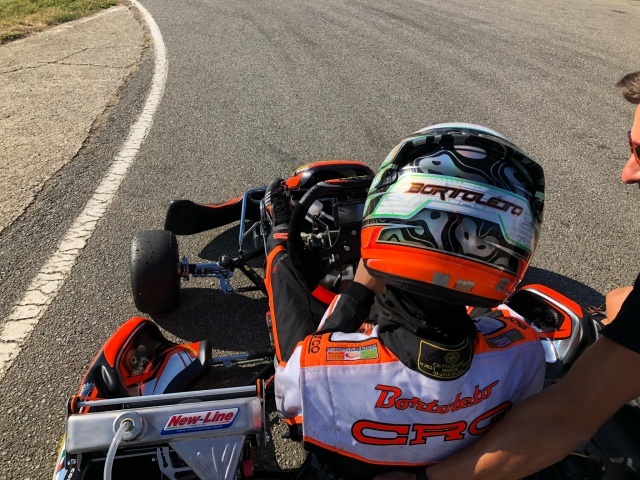 CRG's green and gold prevailed starting from free practice with the best group time, and continued with an excellent third place in qualifying. The real barrage came during the qualifying heats, where Bortoleto did not miss a shot to bring home five wins out of five available heats. A noteworthy performance, prolonged with the victory of the pre-final A and the triumph of the final. Starting in second, Bortoleto managed to overtake the competition already in the first part of the race. Setting a dominant pace which he held until the end, he finished first with more than a second of advantage.